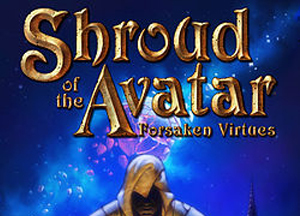 Portalarium, Inc. (“Portalarium”), via the website www.shroudoftheavatar.com, is raising funds for the RPG “Shroud of the Avatar” (the Game). You, the Contributor, may select one or more of the pledges and pay the indicated amount(s) in accordance with the following agreement between Portalarium and you, the Contributor. 1. You must be a registered user to select and pay for a pledge. Upon selection of a pledge, your payment will be collected through an independent third party payment provider. By using such provider, you agree to the terms and conditions applicable to each payment method you choose. Portalarium does not receive any confidential payment data from such providers, and Portalarium is not responsible for their performance. Any separate charges or obligations that you incur in your dealings with the third party payment providers are your responsibility. Portalarium reserves the right to change such payment providers at any time. 2. Your payment is a deposit to be used for the development and production cost of the Game, including the website cost, the production and delivery cost for the pledge items, and Portalarium’s corporate expenses associated with the foregoing (the Game Cost). 3. The deposit shall be earned by Portalarium and become non-refundable to the extent that it is used for the Game Cost, with each Contributor’s deposit being applied as follows: first to the fulfillment of the pledge items, and then to the Game Cost in a percentage equal to the total applied Game Cost in relation to the total Contributor deposits remaining after the cost for the pledge items. 4. Portalarium agrees to use its good faith business efforts to deliver to you the pledge items and the Game on or before the estimated delivery date. However, you acknowledge and agree that delivery as of such date is not a promise by Portalarium since unforeseen events may extend the development and/or production time. Accordingly, you agree that any unearned portion of the deposit shall not be refundable until and unless Portalarium has not delivered the pledge items and/or the Game to you within 12 months after the estimated delivery date. 5. For the avoidance of doubt, in consideration of Portalarium’s good faith efforts to develop, produce, and deliver the Game with the funds raised, you agree that any deposit amounts applied against the Game Cost as described above shall be non-refundable regardless of whether or not Portalarium is able to complete and deliver the Game. In the unlikely event that Portalarium is not able to deliver the Game, Portalarium agrees to post an cost accounting on its website to fully explain the use of the deposits for the Game Cost. In consideration of the promises by Portalarium hereunder, you agree to irrevocably waive any claim for refund of any deposit amount that has been used for the Game Cost in accordance with the above. 6. TO THE MAXIMUM EXTENT PERMITTED BY APPLICABLE LAW, YOU ACKNOWLEDGE AND AGREE THAT YOUR SOLE AND EXCLUSIVE REMEDY FOR ANY DISPUTE WITH PORTALARIUM OR ITS LICENSORS IS TO CLAIM A REFUND IF AND WHEN DUE PURSUANT TO THE TERMS HEREOF. IN NO CASE SHALL PORTALARIUM OR ITS LICENSORS, AFFILIATES’, EMPLOYEES’, OFFICERS’, OR DIRECTORS’ (COLLECTIVELY, “PORTALARIUM AFFILIATES“) LIABILITY TO YOU EXCEED THE AMOUNT THAT YOU PAID PORTALARIUM. IN NO CASE SHALL PORTALARIUM OR PORTALARIUM AFFILIATES BE LIABLE FOR INCIDENTAL OR CONSEQUENTIAL DAMAGES ARISING FROM YOUR USE OF PORTALARIUM’S SERVICES AND OR YOUR PLEDGE HEREUNDER. TO THE EXTENT THAT SOME STATES OR JURISDICTIONS DO NOT ALLOW THE EXCLUSION OR THE LIMITATION OF LIABILITY FOR CONSEQUENTIAL OR INCIDENTAL DAMAGES, IN SUCH STATES OR JURISDICTIONS, PORTALARIUM’S AND PORTALARIUM AFFILIATES’ LIABILITY SHALL BE LIMITED TO THE FULLEST EXTENT PERMITTED BY LAW. Portalarium reserves the right, in its sole discretion, to modify or revise these Terms at any time, and you agree to be bound by such modifications or revisions. Users are responsible for periodically viewing the Terms. Using the guidelines below, Portalarium grants permission for users to make videos (walkthroughs, Let’s Play, reviews, etc.) with Portalarium’s game content, images, audio, and/or cutscenes and publish to YouTube, twitch.TV, or similar digital services. * Do not include cheats, hacks, or similar violations of the EULA in posted videos. Failure to abide by these content guidelines may result in Portalarium having the video removed. Portalarium will, at its sole discretion, determine if a video does not comply with these content guidelines. Portalarium retains all ownership and rights of its produced content, and may terminate or change the terms of this agreement at its sole discretion.